Continuing our work in the Camelback Light Rail Corridor, For(u)m moves just south of the line, into the Park Lee Apartments. Rumored to be a design partially completed by acclaimed architect Ralph Haver, the massive 1950s apartment complex has long been an icon of the Valley's midcentury courtyard-style apartments. 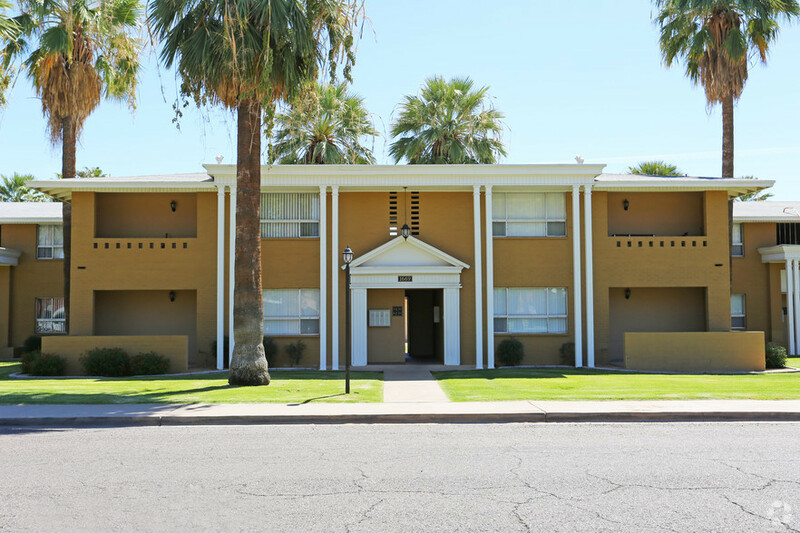 After falling into disrepair in the 2000s, the City of Phoenix purchased the property with post-Recession monies from the federal government, renovating it into a marquee example of quality, integrated affordable housing. And thus, we are proud to venture to their community room to learn all about changes in the last few decades of affordable housing construction and management aiming to end stigmas, provide access to opportunity, and locate along transit corridors. For(u)m brings together four representatives from the Valley's top affordable housing organizations to see the projects they've completed, how they're integrated into their surrounding communities, and how their completion spurs surrounding investment and neighborhood stabilization. Note: LFA For(u)m members receive discounted admission--E-mail [email protected] for details, or member reservations.